Former player preferred to focus on his meal. 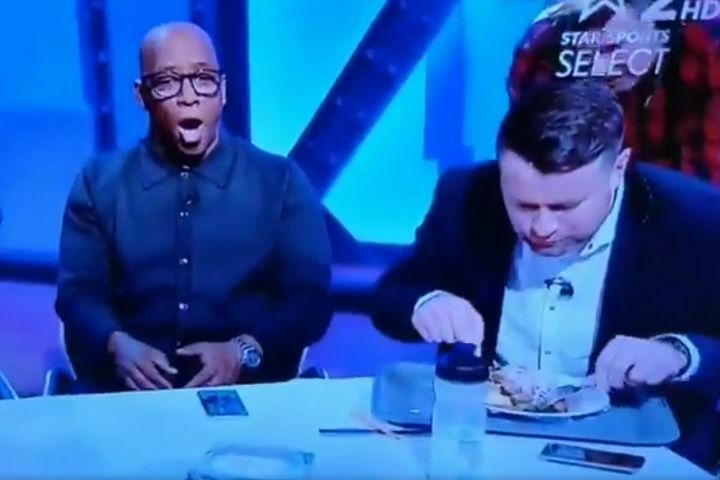 Shay Given continued eating dinner while his fellow pundits acknowledged Mohamed Salah’s stunning goal in Liverpool’s 2-0 win over Chelsea on Sunday. Jürgen Klopp’s side claimed a crucial three points in the title race at Anfield with the help of a Salah wonder strike from outside the area. Former Republic of Ireland international and top-flight goalkeeper Shay Given was appearing on Star Sports for the game alongside Ian Wright and Steve McManaman. A clip of the group reacting to the goal was shown on the Indian TV network’s Star Sports Select channel. As the other two are seen rising from their seats to applaud, Given remains seated and eats his food with his head down, barely glancing up from the meal in front of him.